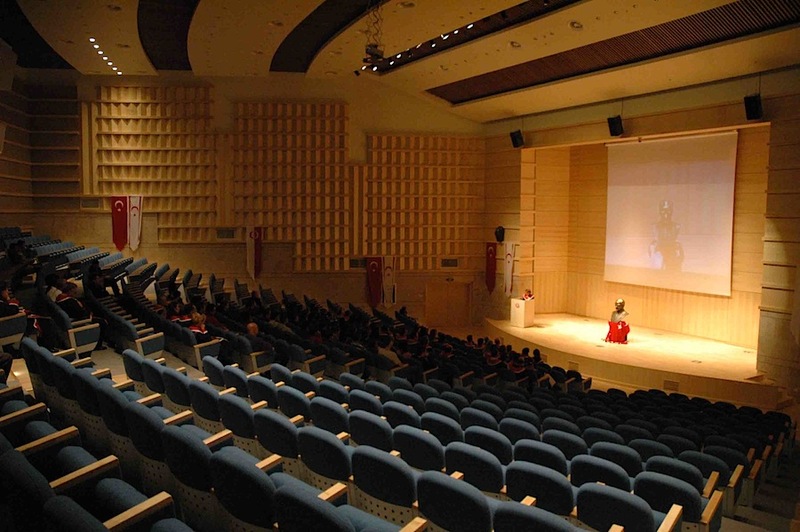 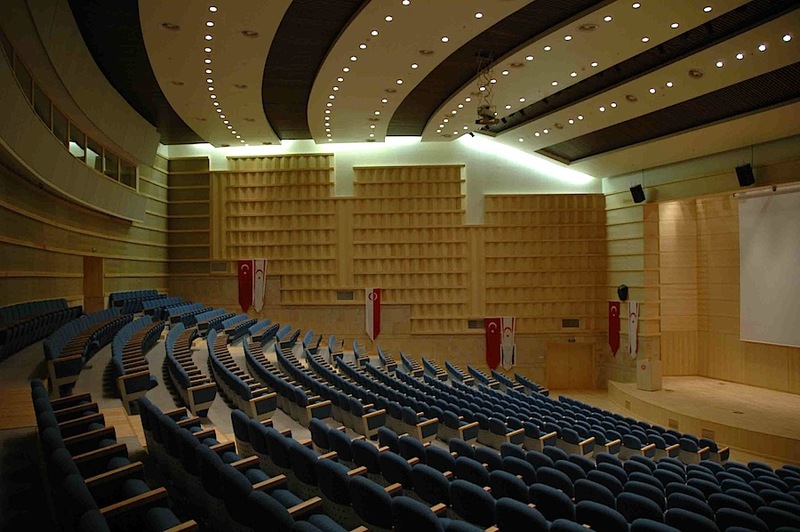 The METU Northern Cyprus Campus Cultural and Convention Center was originally conceived as a building mainly for conferences,seminars and ceremonies. 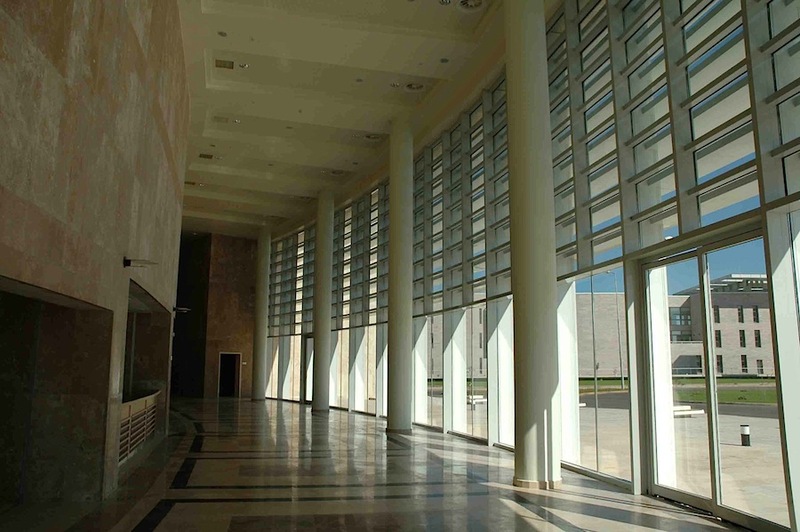 However, during the initial talks with the administration, it was agreed that small scale classical and jazz concerts should also take place in the 600 spectator main hall. 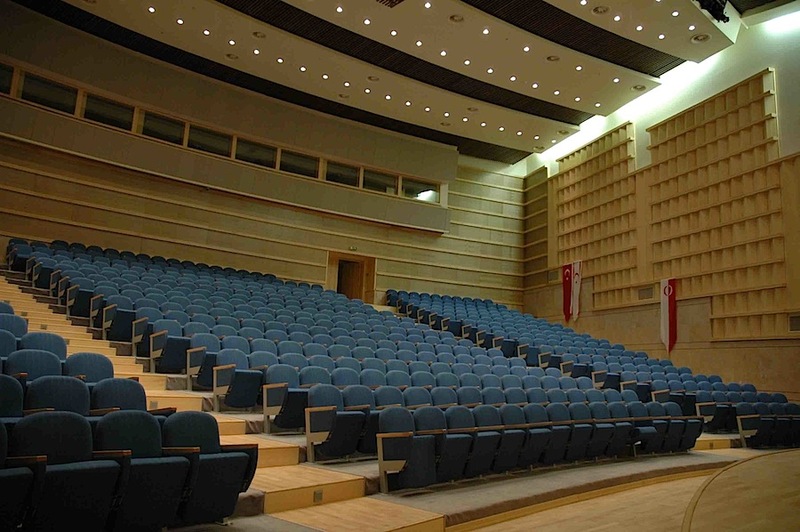 Thus, the necessary acoustic calculations were made and the hall was designed acoustically both for speech and music. 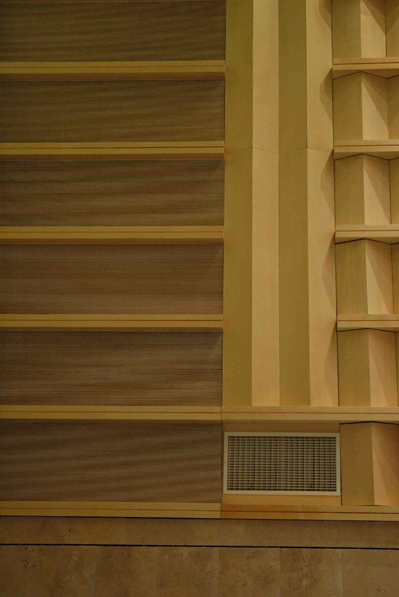 This necessitated the use of folding wooden acoustic panels on the side walls which would reduce the reverberation time for speech when open and increase it for music when fully closed. 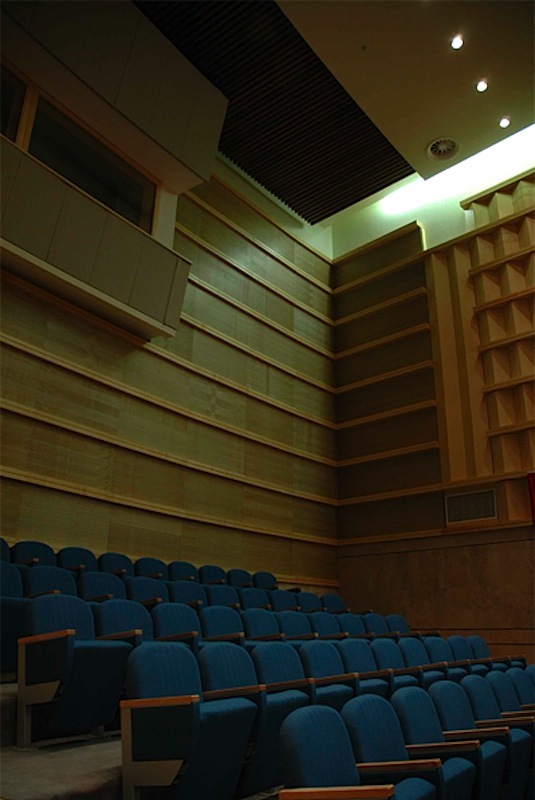 At the back of the hall, special sound absorbing wooden panels were used. 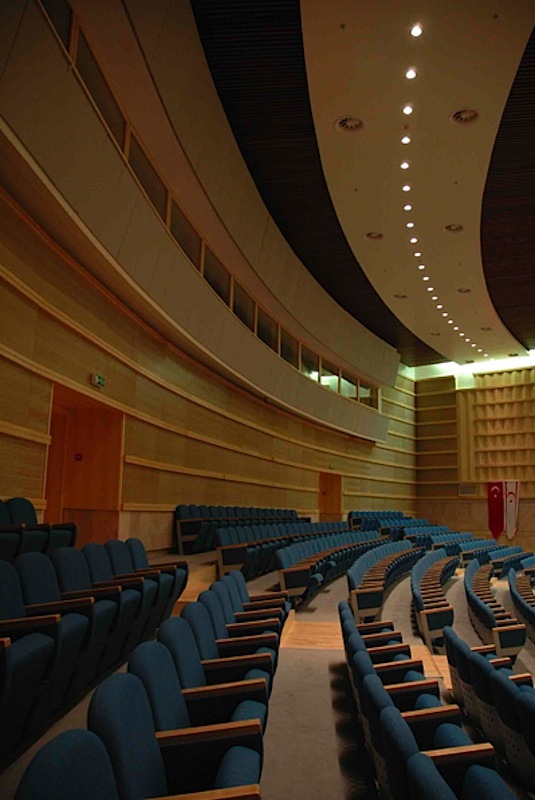 The suspended ceiling reflects the radial form of the hall, with gypsum board panels and linear wooden elements used in succession.